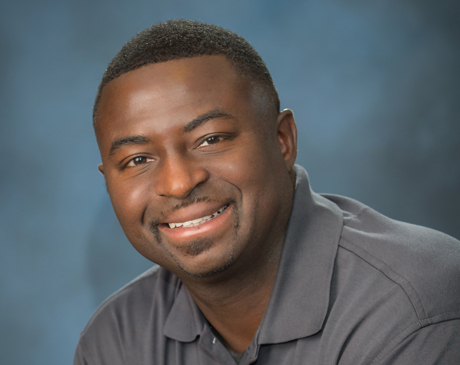 Meet Doctor Emmanuel Oduwole - Conejo Chiropractic Relief Center. Dr. Oduwole knows first-hand what a profound effect chiropractic care can have on a person. He has obtained this knowledge from personal experience when he saw a chiropractor during the very difficult time of a major back injury and he wants to be able to provide his patients with a sure-handed, healing foundation that will form the basis of their assent and recovery from the depths of their injury, disease, or condition. Chiropractic care addresses the source or cause of many problems, conditions, and diseases rather than treating mere symptoms alone. Although symptoms and pain-relief are achieved as a direct result of efficacious chiropractic treatment also. Dr. Oduwole is extremely personable, knowledgeable, professional and compassionate, going the extra mile to educate all of his patients so their experience in the office is truly life-changing. He has worked on-staff in hospital settings alongside orthopedic and neurosurgeons related to pre- and post-operative surgical options and therefore renders an exhaustive opinion that is guided by the most pertinent and up to date treatment recommendations. He uses the most advanced and updated diagnostic tools as well as evidenced-based didactic skills and reasoning to arrive at sound and accurate diagnoses, which can then be treated, co-managed (if applicable), or completely referred out to another practitioner (where appropriate). Dr. Oduwole graduated from Los Angeles College of Chiropractic at the Southern California University of Health Sciences. He is board licensed with the National Board of Chiropractic Examiners and is also a California Certified Radiography Supervisor and Operator who gives guidance to matriculating radiography technicians through externship. He has a wide array of skills including elite/competitive athletic rehab, general pre/post-operative rehab, pediatric child care as well as being an expert in surgical avoidance for surgical candidates. He has hospital privileges with Miracle Mile Medical Center as well as Mission Community Hospital.